Nicole is a warm and positive person who brings energy and humour to the counselling relationship. Nicole’s goal is to work collaboratively with her clients to help them find solace in whatever it is that brings them to counselling. Nicole is genuine and non-judgmental and has a natural ability to engage with children and adolescents. Whether working with adults or children Nicole’s focus is on establishing a trusting therapeutic relationship. Nicole brings over 14 years of experience in counselling and therapy in both the non-profit and private sectors, including EAP (Employee Assistance Programs). 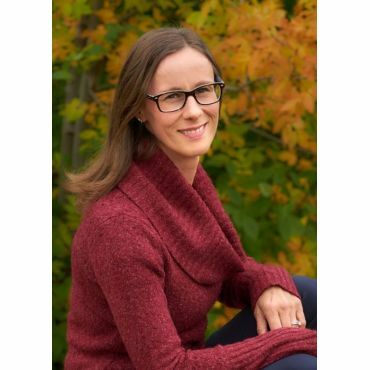 Prior to an extended maternity leave to stay home with her triplet boys, Nicole worked for several years counselling adults and families and then trained to specialize in both trauma and children & adolescent therapy. Nicole has a Master’s Degree in Clinical Social Work and is registered with the Alberta College of Social Workers. She also completed two undergraduate degrees including a Bachelor of Arts (Psychology) and a Bachelor of Social Work, as well as various other professional certifications. In addition to counselling, Nicole created and managed a child & adolescent therapy program at a domestic violence shelter and has facilitated various workshops on positive parenting practices, empowering children, adolescent brain development, and the impact of trauma on children and youth. Nicole is an active participant in peer consultation and ongoing professional development to remain current in her clinical skills. Thank you, Nicole for your support and help this year. You made a tremendous impact on my life and the insight I gained is invaluable. Thank you also for seeing my son. Your observations helped us narrow down the issues he was facing so that we could make positive decisions for him.I am so grateful to you.